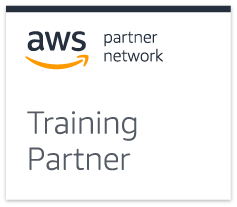 As the AWS (Amazon Web Services) Authorized Training Partner, Fast Lane provides the necessary skills to develop and operate infrastructures and applications in the AWS cloud. Get an introduction to cloud computing and AWS. Learn to design applications and systems. Learn to develop cloud applications. Learn to create automatable and repeatable deployments of applications, networks, and systems. Gain knowledge about AWS security services or big data solutions. Gain knowledge about Serverless AWS services.